When you have an emergency, you can rest assured Gardner Heating & Air Inc...WILL BE THERE! Our commitment to program customers means we will have a technician to your door within 24 hours of calling our office. 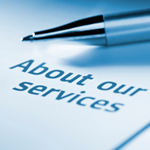 Please contact us to discuss our planned maintenance agreements in more detail.